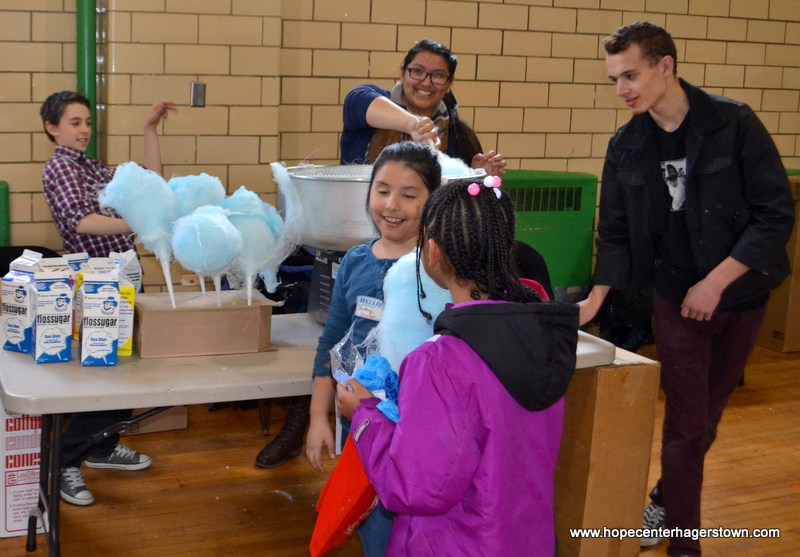 The Easter celebration at The Hope Center kicked off with Wildside’s Easter party in the beginning of April. 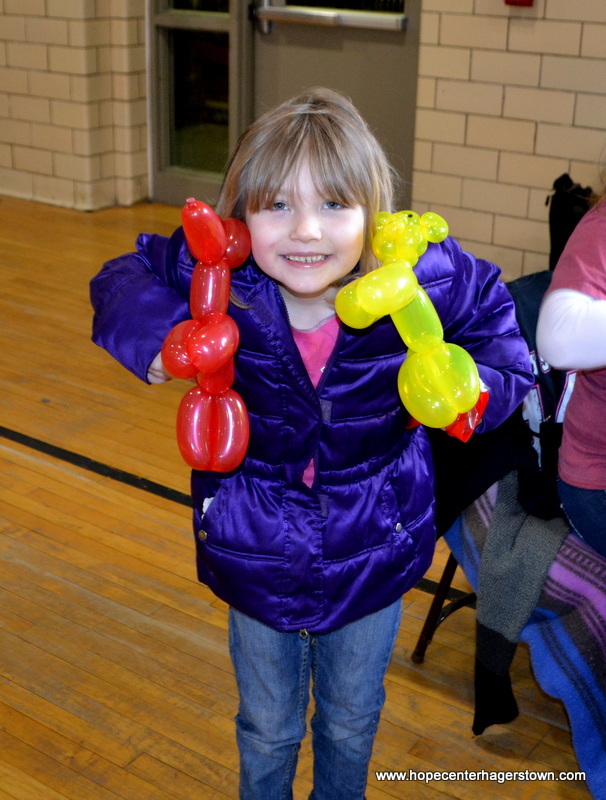 Over 65 kids from Hagerstown attended the annual event. 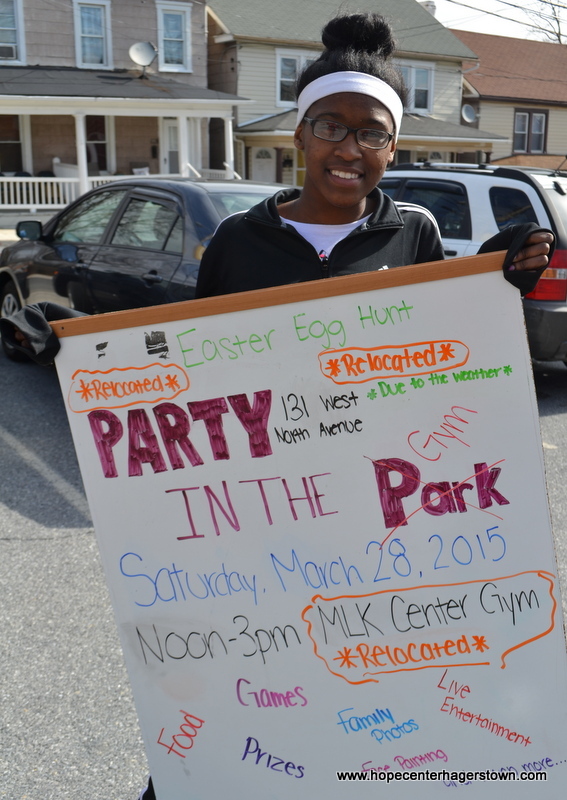 In addition to games and food, Wildside had a huge Easter egg hunt. But before the egg hunt the kids enjoyed an interactive lesson which is part of the series, “How Big is My Problem?” This series is centered around conflict resolution and the kids learned at the party about how big our sin problem is and how sin builds a wall of conflict between us and Jesus. But the most important part of the lesson was learning how Jesus chose to resolve our conflict by tearing down the wall and saving us from sin! The end of the evening saw all sorts of prizes handed out to some pretty good kids who were the winners of the Good Behavior Challenge. The Good Behavior Challenge isn’t an easy task, though. The challenge was to attend the 4 most recent Wildside events and avoid getting a single strike during those 4 events. Wildside started with 53 kids at the beginning of the challenge but by the Easter party only 19 kids were left in the competition. We’d like to announce that Aniya won the giant Easter basket prize and Josiah won the giant chocolate bunny for their continued good behavior at Wildside events! Other kids that evening won prizes for their good behavior during the event. All Wildside events are free for kids ages 5-12. In addition to big events like the recent Easter party, Wildside hosts Sunday Night Wild on select Sunday evenings throughout the school year. Wildside also has a youth leadership program, The Crew, where mature kids in the Wildside program are selected and go through a leadership training program. And one of the biggest Wildside events is Camp Wild – which is quickly approaching. Camp Wild is a free day camp during the summer for kids in Hagerstown’s various neighborhoods and regions. Registration for Camp Wild isn’t open yet but will start soon. Learn more about Camp Wild by visiting http://www.campwildusa.com. 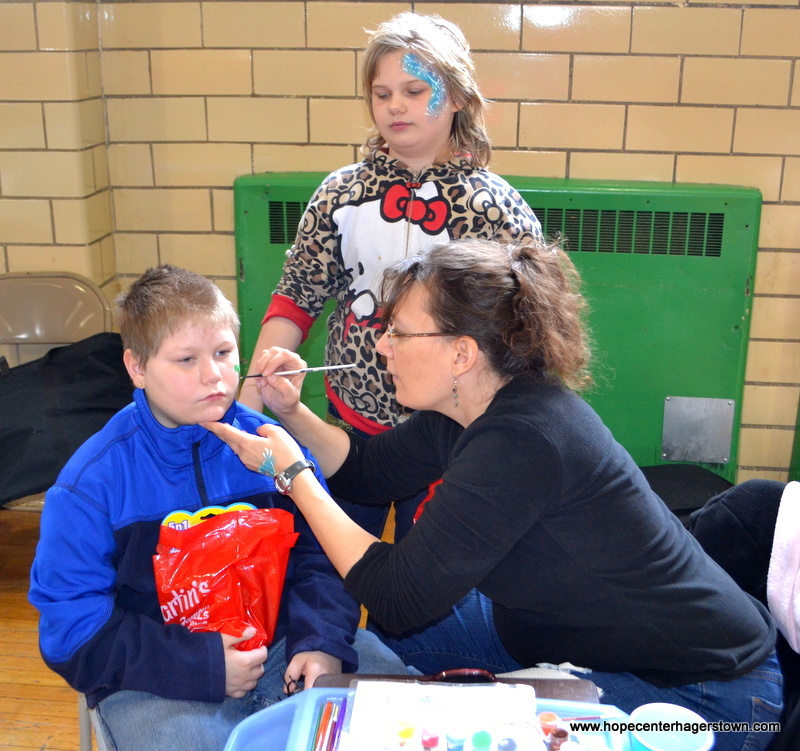 To learn more about all the Wildside activities please visit http://www.wildsideyouth.com. If you’re interested in volunteering for Wildside events or Camp Wild during the summer please email volunteer@hagerstownhopecenter.com or call 301.739.1165. The resurrection of Jesus Christ from the dead means so many wonderful things to believers. One of the most blessed truths about His resurrection is that it gives us HOPE regarding our future resurrection. Death is not the end. Jesus Christ is God come to us in human form. God loves us so much that He decided to willingly step into a body of flesh in order to feel the emotions, fears, temptations, and weaknesses of this flesh. Through Jesus, He overcame temptation and took a perfect sacrifice to the cross where He paid the sin debt for us! We could never pay sin’s debt so God paid it himself. However, in order for this transaction to be complete there must be a resurrection. Remember when Cain and Abel offered sacrifices in Genesis chapter 4? The evidence of whether or not a sacrifice was accepted by God was a visible raising up of that sacrifice. The same was true with Elijah and the prophets of Baal in 1st Kings chapter 18. God showed by a fiery and dramatic “taking up” of Elijah’s sacrifice that Yahweh is the one true God! When Jesus died on the cross and then was placed in the tomb, it looked as if everything had failed. Why did Jesus die on the cross after He had performed so many miraculous feats, even raising the dead? Why did God allow His Son to die? Will God accept the sacrifice of Jesus’ death on the cross as a sufficient payment for the sins of mankind? Yes! Three days later the stone rolled away and Jesus walked out of that tomb! God said YES to the sacrifice and raised it up for all the world to see that Jesus Christ has made sufficient payment for our sins and opens the door to Heaven! What we call death is only a door to a believer! For the Christian, death is like walking from one room to another glorious room called Heaven. If you do have peace with God through our Lord Jesus Christ then rejoice in your eternal destination and know that His resurrection guarantees your resurrection to eternal life! If you do not have peace with God today, why not stop what you are doing right now and call upon Him for eternal life. Repent of sins and turn to Jesus. Call The Hope Center and let them know about your decision and how to know what to do next in your walk with the Lord. Go ahead, call them now! They want to rejoice with you and encourage you in your new found faith! Our 60th Anniversary Celebration Kick-Off Was a Blast! 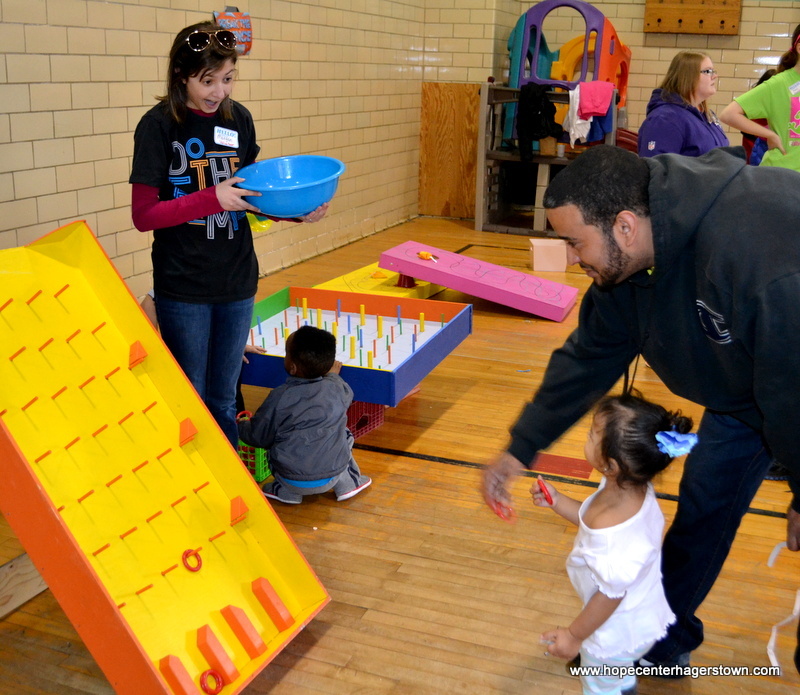 Our 60th Anniversary celebration kicked off in March with a party planned outside at Wheaton Park just two blocks from The Hope Center. As the day approached, the weather man wasn’t providing us with exactly what we wanted to hear. There were some nice, mild days in the forecast but, unfortunately the day of our outdoor party was not going to cooperate. We all know that God is in charge of the weather and He wouldn’t allow anything to happen that day that would be more than we could handle so we pressed forward with our plans to host a party for our community. We prayed that the weather would cooperate enough for us to have a good day but, more importantly, that God would bring the crowds to our event. The morning of our party was much colder than we had hoped. In fact, it was below freezing … literally with a wind chill of 14 degrees. Our volunteers were not going to let a little cold bother them so we began setting up for our party. But God, just reminding us that He’s watching over us and showing us that He’s definitely involved in our event, provided an absolutely unexpected miracle that day. The director of the Head Start program at the MLK, Jr. Center had received our fliers about the Party-in-the-Park and had promised to help distribute them in the neighborhood. 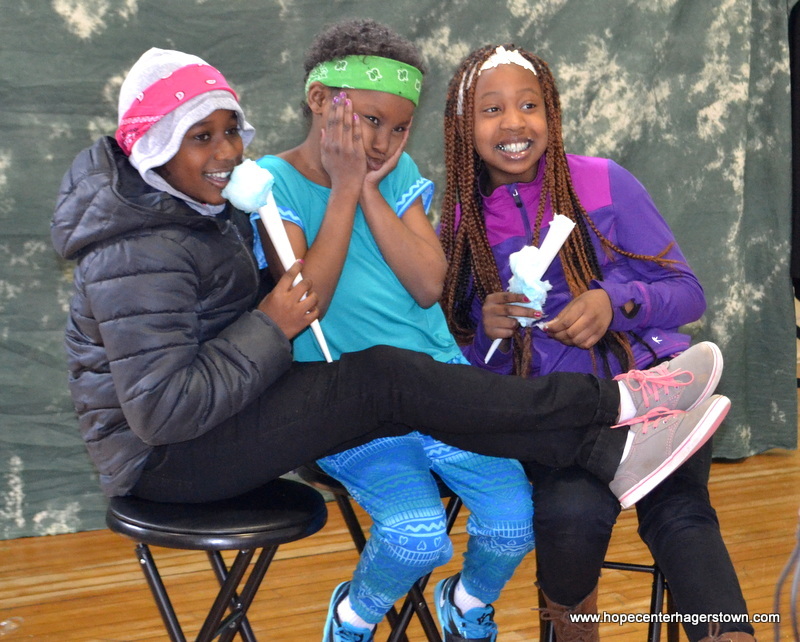 Because of the frigid temperatures the morning of the party, this kind lady offered to allow us to use the MLK Jr Center, a community center/gym located just one block away from Wheaton Park. We hadn’t inquired about the building. We didn’t even know it was an option. But God knew – and He had a plan! Of course we couldn’t say no! For the sake of our volunteers and guests we quickly took her up on the offer. And we’re so glad we did! The warmth of the building was a literal God thing that day! 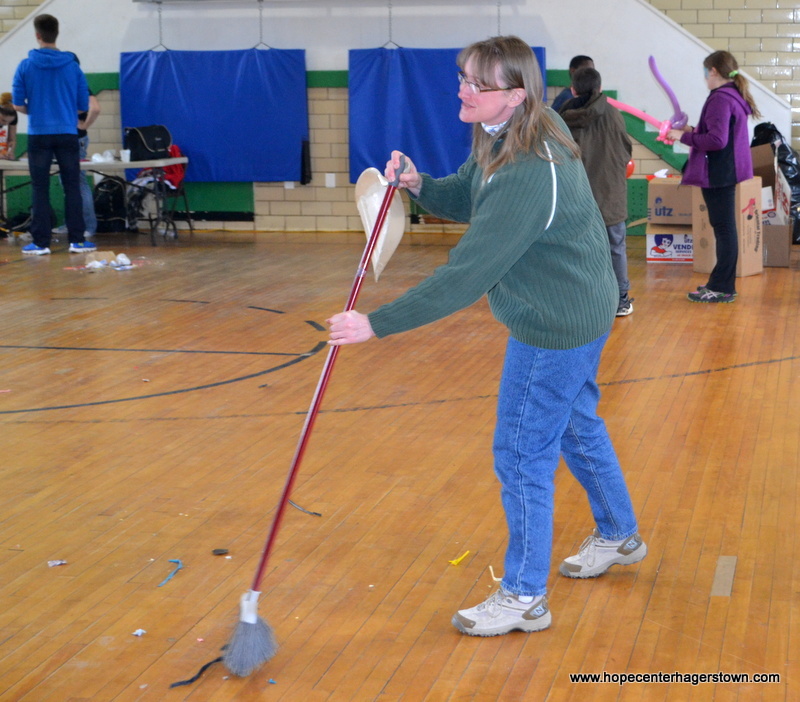 Our volunteers quickly began setting up the rec center for our event. 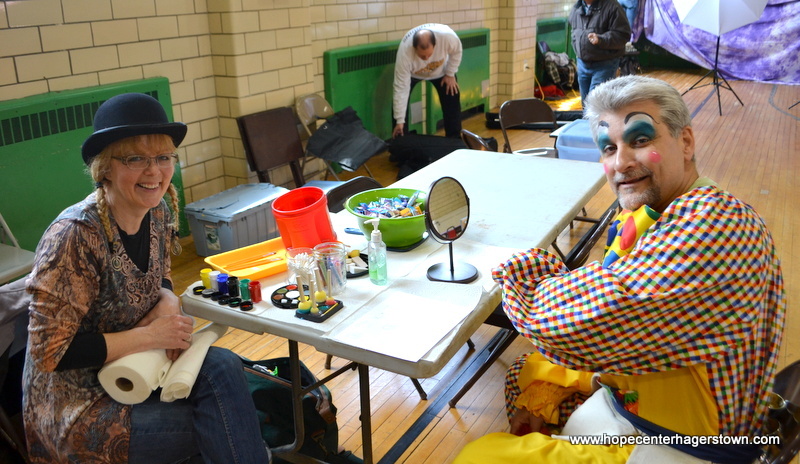 We had plenty of carnival games, a photo booth, face painting, finger nail painting, food, prizes and more. As the time approached for the start of our event, we wondered just how many people would brave the chilly weather to come to a park event. We never expected to have the turnout as we did. Not only had God provided an indoor facility for us to use, He brought the people out in droves! We had close to 300 guests for our “park” party! The line to get into the building was out the door for a long time! 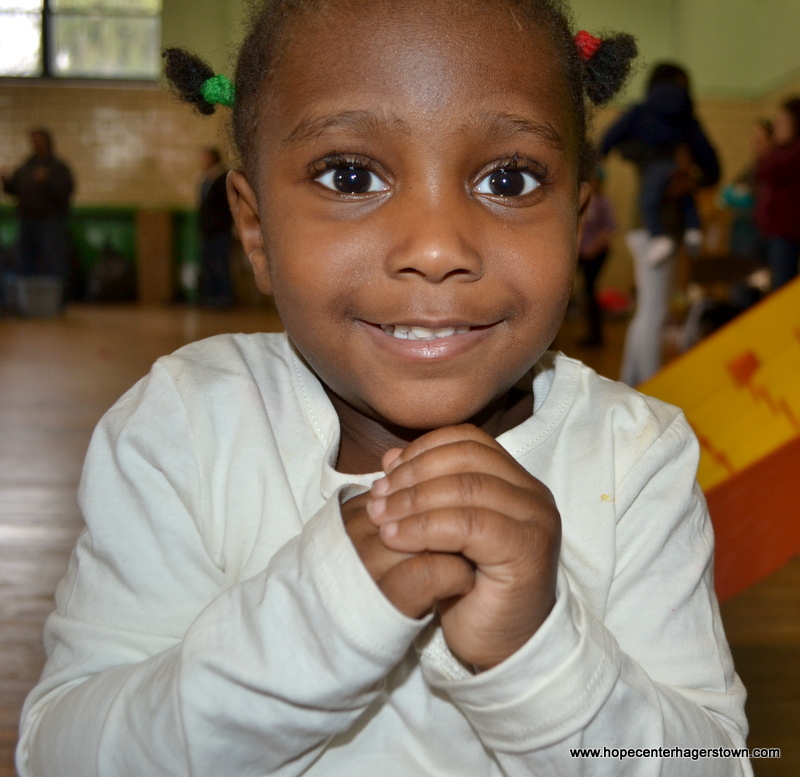 Parents, grandparents and kids filled that building with the sights and sounds of happiness & memories being made. Everyone had a wonderful time playing games, goofing around, eating, and just hanging out. We even had a surprise visit by the Easter Bunny! 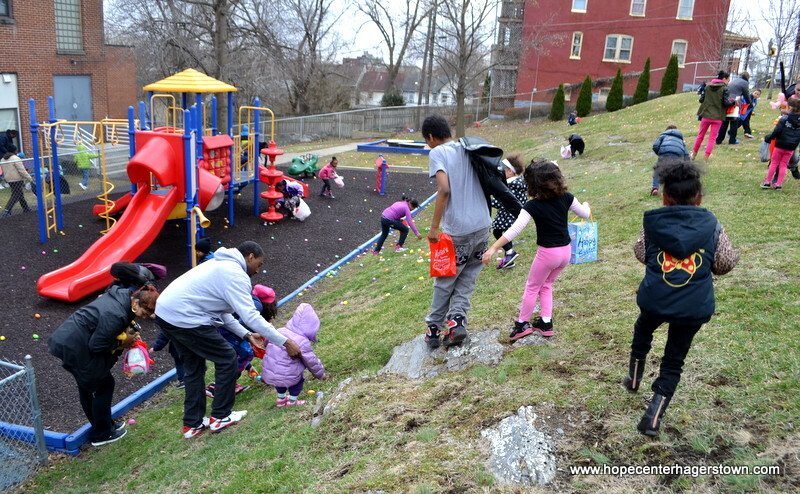 In addition to all the indoor activities, we were able to have the egg hunt outside for all the families. 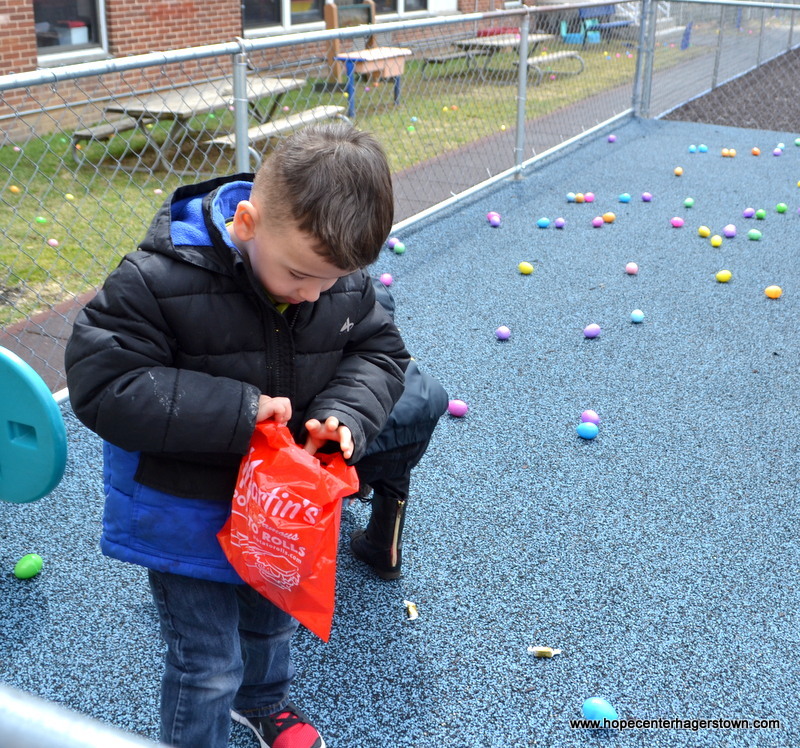 Over hundreds of eggs filled with candy were hidden in plain view for all the kids who were there. Within a matter of minutes the eggs had been found but not before parents and their children had their chance to have fun together racing around to get as many as they could. We had so many prizes that day but we were so excited to have drawings for a few big door prizes like big stuffed animals from LifeWay Christian Bookstore, a Mickey Mouse Easter-themed basket with a special Mickey Mouse plush all the way from Walt Disney World, and a brand new tablet! We couldn’t have asked for a better start to our 60th Anniversary celebration! God reminded us that He is still with us, supporting us just as He’s done the past 60 years. We want to thank so many people for their hard work in making this event come to life. First, we want to thank the kind people of the MLK Jr Center for offering us their facility to use. We appreciate their commitment to the community and all they do to help improve the lives of our neighbors. We also want to thank a few 4th graders from Fountaindale Elementary School who wanted to do something nice for the community. 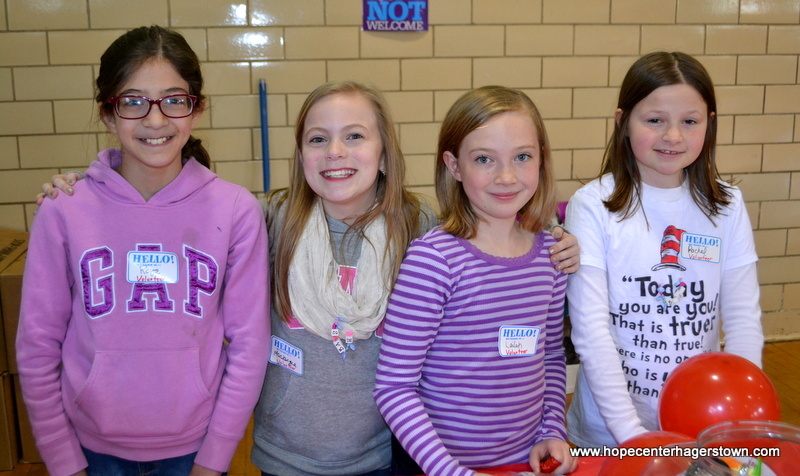 These girls created “health bags” which were full of personal care items like soap, shampoo, toothpaste and other items. They collected all the items themselves and put it all together for our guests. These wonderful young ladies made 75 bags for our guests! We’re so thankful that these girls have such a big heart for others and that they actually did something to help make a difference. To all of our volunteers, thank you! A BIG thank you! These awesome folks were willing to brave the cold temperatures to have this party outside. And they adjusted quickly to the changes once we moved the party indoors. Our volunteers probably had just as much fun as the guests and that’s exactly what we were hoping for. Thank you, volunteers, for giving your Saturday to spend it with total strangers. You may never know the impact you made on the lives of our guests but God does and someday you’ll be amazed at what those few hours on that cold Saturday morning did for someone else’s eternity. Thank you for supporting this ministry and helping us reach so many people for Christ! It’s because of faithful people like you that The Hope Center has been so successful. We thank God for our volunteers and we’re so proud to call you a part of The Hope Center family! 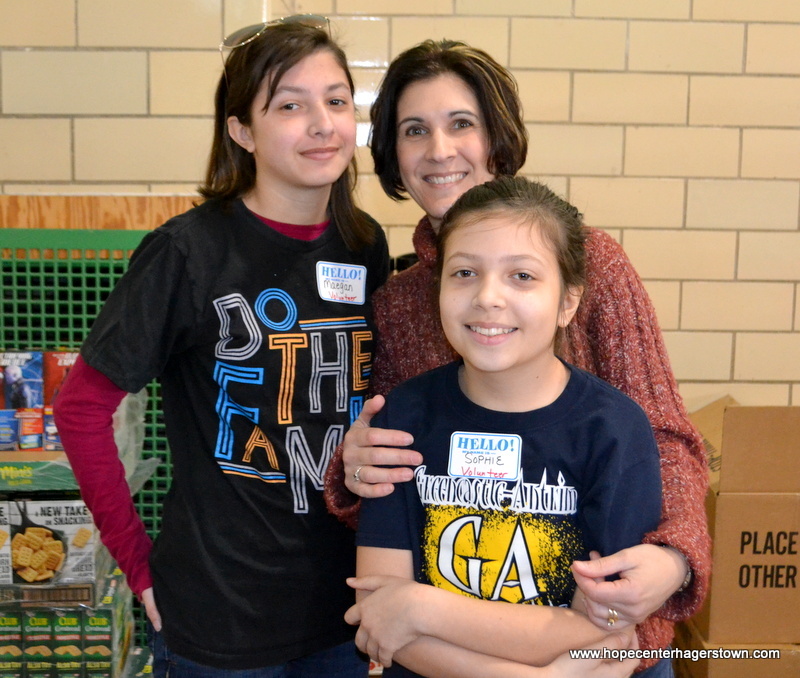 A big thank you to Maranatha Brethren Church for providing food, prizes, activities and volunteers for this event. 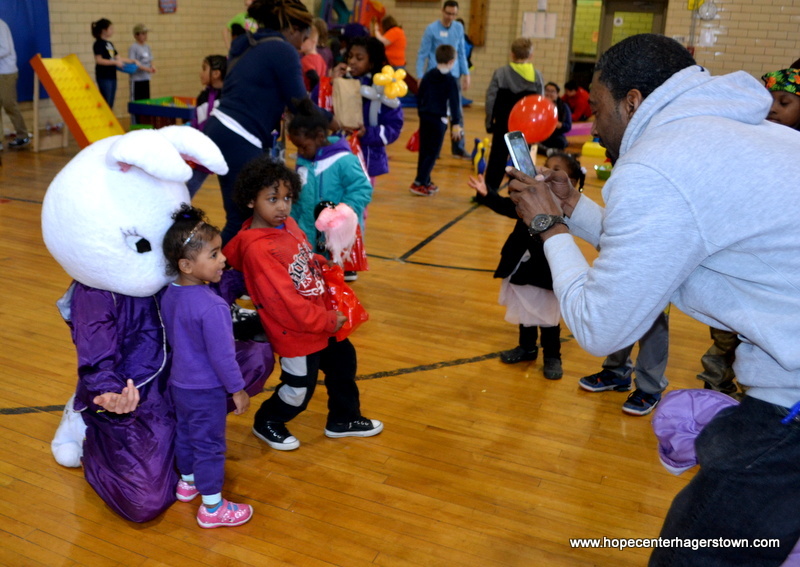 To all our donors and supporters, it’s not cheap nor easy to host an event like this but because of your generosity, we were able to provide our guests with a great Easter party! Even if you only bought a bag of candy, that candy was used to tell someone that they are loved by a great God who cares so much for them. Thank you for caring & sharing and helping us show our community the love of Christ! To Krista, Gene, Sue and Adrian, thank you for the hours of planning that you put into this event. Your heart for others is evident by how hard you worked to put this entire event together. And even when the weather wasn’t kind, your enthusiasm and optimism helped make the event so successful. We are so beyond thankful for your commitment and investment in this ministry. We know that God will bless you so much more than any of us can imagine and one day in Heaven you will see the rewards of your service. Thank you, thank you, thank you for putting together such a great event! And to Mr. & Mrs. Shank, who worked so tirelessly behind the scenes from day one on this event, and all the other 60th Anniversary events yet to come. This is a challenging year of celebration but God has put the right people in place to make it all come to life! Your love for Christ and this ministry is evident in everything that you do each day and we don’t thank you enough for your hard work and sacrifice. Thank you for all you do and for helping to reach the least, the last and the lost for Christ. Even though its tiring and difficult, just remember as The Hope Center founder, Mr. Resh, would say, “keep on, keepin’ on!” To God be the glory! 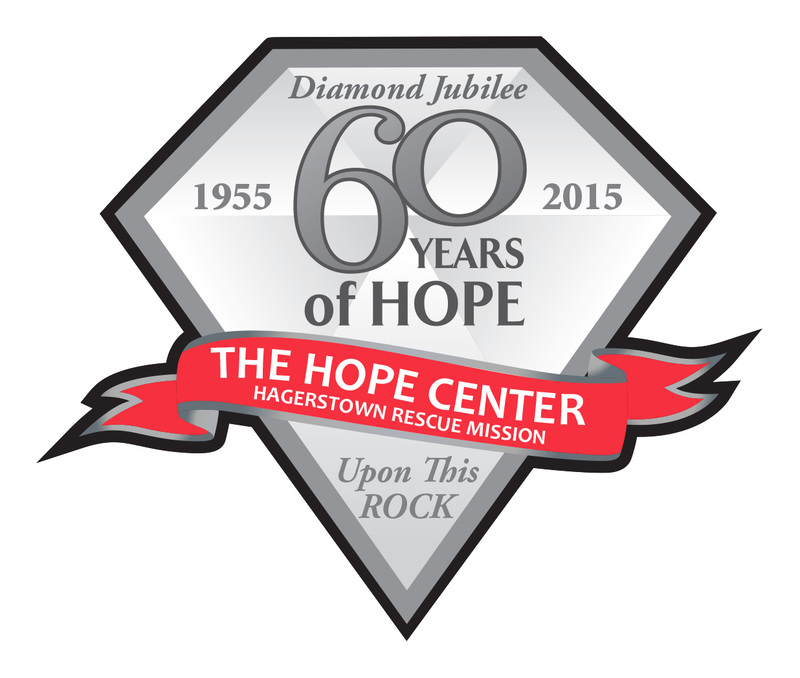 Our 60th Anniversary celebration is rolling right on with our first 5K event in April. 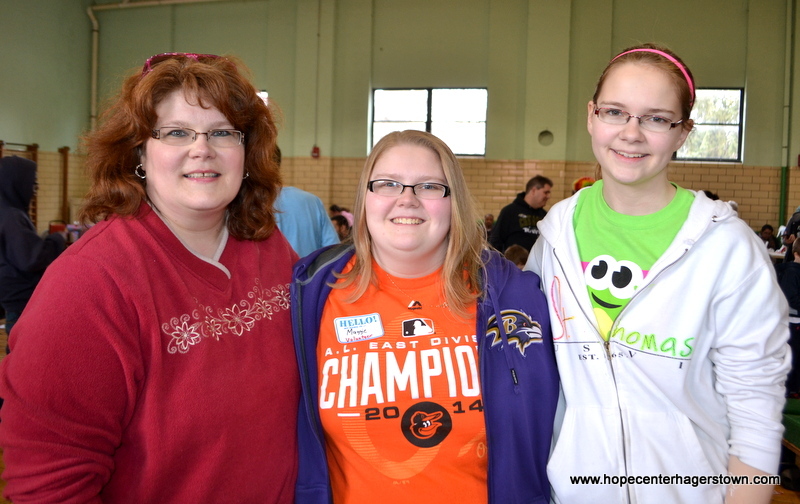 Rock the Run 5K: A Race for Hope will take place on Saturday, April 25th at Fairgrounds Park in Hagerstown. This race will help to raise awareness & support for the ministry at The Hope Center that deal with homelessness and hunger in Hagerstown. So many lives are affected by homelessness and hunger and this is our way of helping to get people involved to end the hopelessness. Registration is only $25 until race day and you can register now at http://www.rocktherunhagerstown.com. 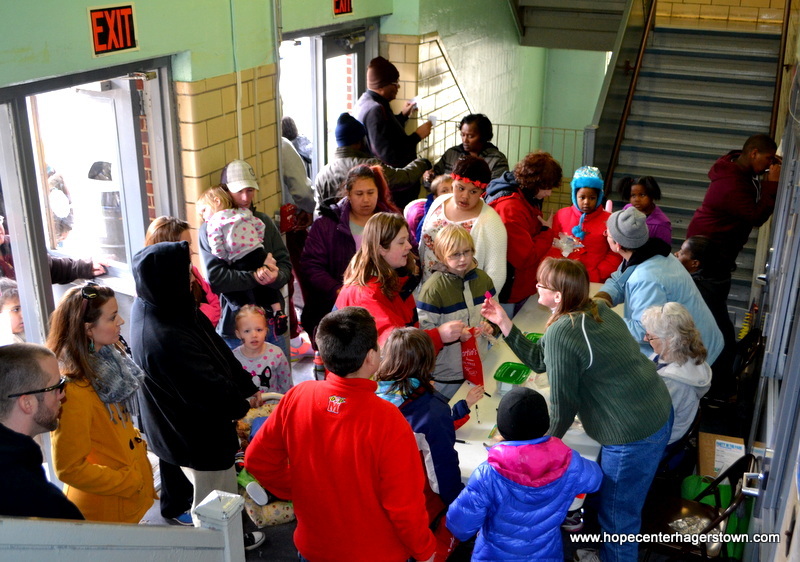 Be sure to visit http://www.hopecenter60.com to learn more about The Hope Center, see pictures from the past 60 years, and get all the info about the other upcoming events planned for 2015.